Our strategy consulting services ensure that our clients have data, analytics support, and honest dialogue required to develop a comprehensive and sustainable plan for the future. We help senior leaders understand the reality of where their organizations are today and where they may need to evolve in order to be most competitive in its next chapter. We help our clients work toward a realistic, integrated, and accountable roadmap to success. 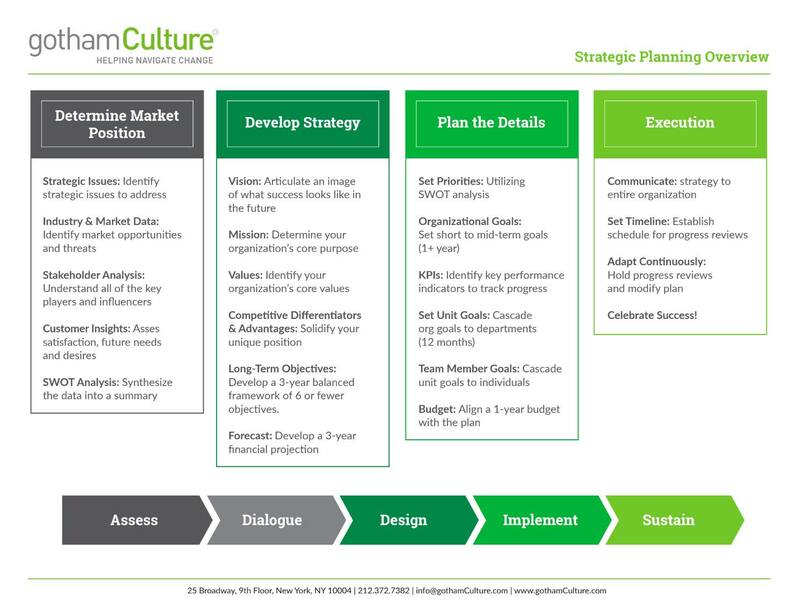 From organizational assessment to strategic planning and implementation, gothamCulture ensures that “strategy” is not simply a plan, not just prioritized ideas, but a “way of life” for a successful and nimble organization. 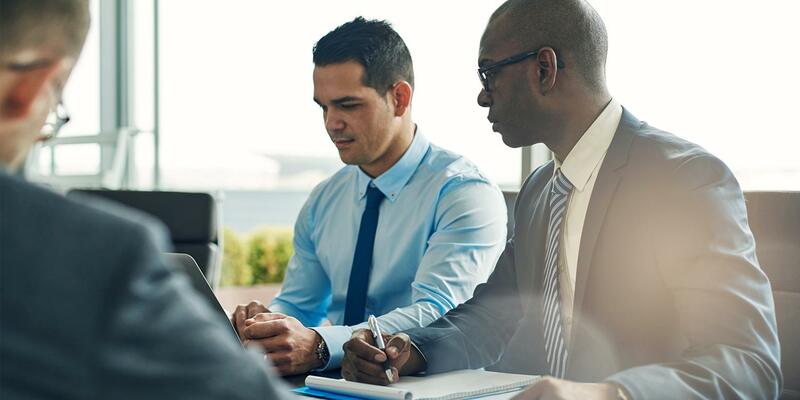 Whether we’re asking the critical questions about the “as-is” and “to-be” state of an organization or engaging key stakeholders in the process, our customized approach helps our clients quickly embed their organizational strategy into the “way people do things” in the day-to-day operations to achieve successful results.